The Omnia W isn't exactly a stranger among Julius Genachowski's minions, who first laid eyes upon the device back in October, but apparently, that first round of scrutiny just wasn't enough. That's right. The Omnia W is back, with one fundamental change: unlike the first handset (GT-I8350), which maxes out at EDGE connectivity on our domestic 1900 / 850MHz bands, the latest model (GT-I8350T) has piled on support for WCDMA and HSPA over the 850MHz spectrum. Given the similarity of AT&T's Focus Flash to the Omnia W, it seems terribly unlikely that this one is bound for the States -- which also suggests that this mid-sized Mango may have Canada squarely within its sights. With the utter absence of Windows Phone at Bell and Rogers, and merely the Optimus 7 at Telus, the arrival of some tropical fruit up north seems long overdue, indeed. 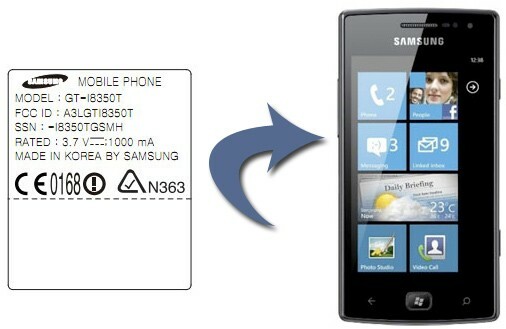 Samsung Omnia W slides through FCC with North American 3G support originally appeared on Engadget on Wed, 16 Nov 2011 20:14:00 EDT. Please see our terms for use of feeds.